This property is all about location. 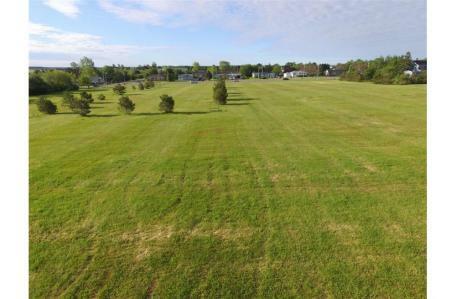 This is a prime piece of property, with high exposure, located on one of the busiest roads in the City of Summerside. It is presently zoned C-2 commercial and has approximately 121.7 feet frontage on Water Street East. Property taxes are to be determined as it is part of larger parcel. If lots #1 & 2 are purchased together, price is to be $250,000. Municipal services are available but not to lot line. This land is surveyed and pinned but not severed from larger parcel. The total parcel is 9.08 +- acres and may be purchased as one lot if desired. The vendor is a real estate agent. Lot #2 is only to be sold with Lot #1 or Lot #3. Nearby businesses include: Starlite Diner, Esso/Tim Hortons, City Flooring, Prestige Home Decor, Island Liquidators, Farmed Market and Craft Butchery.